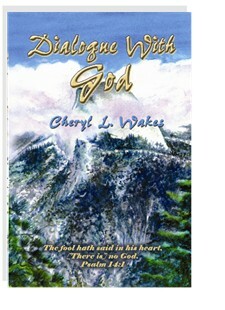 In Dialogue with God Cheryl Wakes shares personal evidence of God�s existence. Wakes makes known the majesty, the love, and the power of God, experienced on an intimate level. God has control over EVERYTHING. Each why, where, and who rest in the sovereignty of His perfect will. Capitalize on the freedom you have to Dialogue with God. You will be surprised by what He reveals to you. Seeking God�s presence is rewarding beyond measure.